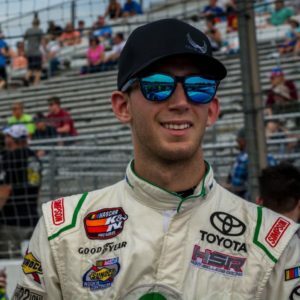 Colin Garrett will make the jump from the NASCAR K&N East Series to the NASCAR Xfinity Series this weekend at Richmond Raceway. He will pilot the #66 Toyota for MBM Motorsports. Garrett, a longtime supporter of ‘Racing For Heroes’, an approved 501(c)3 charity that empowers Veterans through motorsports, health, wellness and employment opportunities will be featured on the hood and quarter panels of his race car for the event.